Hey, this is Matthew Emht reporting for Aconcagua Team 3. Today is December 18th and the team has made it to Casa de Piedre. It’s our second day hiking in. It was a pretty good day, a little cool in the morning, got warm a bit in the early afternoon, and we had a little sprinkle of rain and some clouds coming through. Not terribly windy down here, so all in all it’s been really nice weather. Everybody’s got their tents up right now and they’re taking a little siesta. We’ve got a big steak dinner compliments of our mule-drivers tonight, we’ll be looking forward to that. We’ve got some fresh corn on the cob, sweet potatoes, and breads, as well as some special Argentina steak. Anyway, things are looking good. Everybody’s feeling good, doing great, in good spirits, and we’re working on that team name. 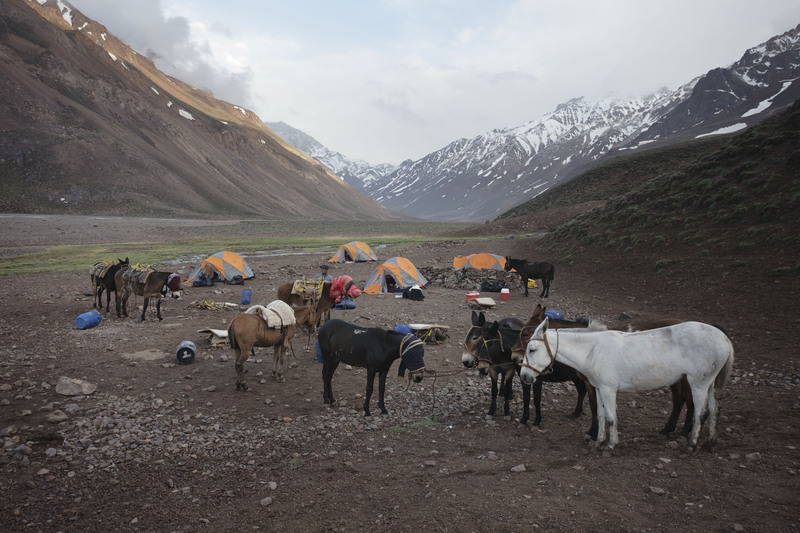 We’ll be heading up towards Base Camp tomorrow and we’ll keep you posted on our progress. Thanks a lot.